I want to share my comments on this article on the main boards. I have glanced at it and though it sounds plausible, it is not, in my opinion, considering all the evidence. I am a URC member, I, therefore, have paid particular attention to URC Mystery Worship reports. There is nothing much outstanding about them on the whole. We do not seem to do worship or music or even preach particularly well and often have small elderly congregations. I do not think we even manage a particularly good range in church coffee. We might be characterized by average to mediocre except in one aspect. That aspect is the Welcome. If we were graded on welcome only we would range from average to superb. My observation is a welcome only gets you so far. First, at best they will bring the person back the next couple of weeks but if then ignored you may as well not have welcomed them in the first place. Secondly, only some people want a welcome and reading the cues is important. Finally, a welcome without a real striving to be the best you can at worship actually does not get you very far. Now I ask you how important is the welcome? My feeling is largely lack of it will put people off but it isn't a reason to stay. Secondly, most regular attendees at a church will maintain it is welcoming. What they mean is they feel welcome in that setting and not that it is welcoming to outsiders. Given this blindness and the rants 'a welcome' of outsiders becomes a matter of completing a number of tasks when they arrive e.g. If this is completed then they have been 'welcomed' and you need not bother with them anymore. So ranting at people about not being welcoming leads either to them feeling you are not taking their experience seriously or reduces welcome to a superficial process. Are there ways of encouraging a natural rather than an artificial welcome? I am looking for ideas. Unfortunately there is sometimes a tone-deafness which afflicts people who have been told to be "welcoming" to strangers in church. At one extreme that tends to treat new people as potential bait (and perpetuates the idea that new people are needed to keep the congregation/church going). At another it is invasive, not picking up signals from individuals who don't want to chat or be "welcomed" but instead want to be left alone. It is difficult - some people genuinely feel offended when people don't talk to them in church. This can be due to age and background. For example, here in Wales it is very common for people to share intimate details about their life with strangers at bus-stops and elsewhere. There is often little "ice" to break, so sometimes it feels like existing members of a congregation might need to stand back and not be so demanding of information from a stranger, and maybe don't need to gang up on a nervous person. Another extreme is the blithe way that church people sometimes talk to others. One Christmas, we stumbled into a relative's church after the death of a beloved grandparent the night before. Even after being told that we were grieving, a neighbouring friendly person couldn't stop themselves from being overly chatty and invasive. In the end I had to ask them to leave us alone. I don't know which is actually worse - not talking to someone who wants to be spoken to or crowbar-ing oneself into a conversation with someone who doesn't want it. Having done a few dozen mystery worship visits over the years, I've been on the receiving end of some good and bad welcomes. On the whole, my observation is that people tend to welcome others as they themselves would like to be welcomed, though this is then highly personality-dependent; and different types of churches tend to draw in different types of personality. The other difference in how good a welcome is can be how used a church is to having visitors. If they rarely have anyone new come in, there can be a tendency to either pounce upon them or eye them suspiciously. Rather, say hello. Ask if I'm new or visiting. Let me know a bit about the church and be willing to ask questions. Much as the church might want to get to know the visitor, let the visitor get to know the church. An amusing but telling video from Bristol Diocese. FWIW, there are some folk who are spontaneous and natural welcomers, who will just lean over their pew and say, "Hi" in an appropriate way without causing embarrassment. They are few and far between: if you have one in your church, treasure them! That video from Bristol Diocese is, IMNSHO, an absolute classic, and worthy of the attention of churches of all denominations. Alas, though, no one community of faith is ever going to get it exactly right for everyone who comes through their doors, and I speak whereof I know. Sorry to double-post, but Our Place has one of those spontaneous welcomers Baptist Trainfan mentions. He's Uncle Harold, 94 next February (they didn't quite build the church around him), and he has that quiet gift of unobtrusive welcomingness. Alas, failing a little now, as his deafness increases, but a gift we do indeed treasure. Have regular (e.g. monthly) lunches for newcomers. Secondly, most regular attendees at a church will maintain it is welcoming. What they mean is they feel welcome in that setting and not that it is welcoming to outsiders. I think this is a solid point. I would suspect that the words "welcoming" are in the mission statement of 90% of Episcopal churches. Hell, it's part of our longstanding marketing campaign (as the signs say, "The Episcopal Church Welcomes You"). But are we really that welcoming? I have visited non-Episcopal churches, and felt less welcomed than when I was a stranger at different Episcopal churches. But how much of that is the vibe I give out? From the moment I walk into an Episcopal church, anyone can see that I know what I'm doing. I don't need directions to find the hymns, I don't generally need to pick up the prayer book to know the responses, etc. This sometimes comes up after the service when people introduce themselves. I had already been identified as part of the in group. It's a little different when I am struggling to find where we are in the prayer book, where the hymns are, etc. That's less likely to get a strong greeting. It's less comfortable to talk about, but race can also play a factor in your welcome. I have a (black) acquaintance from college who is now a theology professor. He was not raised in the Anglican tradition, but grew to love it. But that was in spite the fact that, many times, when he was the strange young black man in the pews, he was totally ignored and avoided. Probably at places that loudly advertised "inclusive and welcoming of all!" on all of their official communications. We are good at welcoming people who look like us, either in their worship postures, dress, or race. Others? Less so. If I were a newcomer I might well find the idea quite terrifying. But others would welcome it. It's a bit worrying that it has to be accompanied by a statement saying it is a spoof. The cartoon showing the lonely stranger at coffee-time, surrounded by, but ignored by, groups of chatterers, is all too often reflected in Mystery Worship Reports. I think this is an important point. Not everyone who visits a church is looking to make a permanent commitment. Moreover, in a culture where the 'customer' is king the church will always fall behind. A random shop assistant who's been hired and paid precisely to sell a good qualify product is likely to be more welcoming than a random churchgoer who hasn't been screened for having the super friendly, obliging, well-adjusted, discerning, caring qualities that might attract a stranger! And in a way, I think such expectations are inappropriate. If 'all are welcome' then you're going to have a lot of church members who are grumpy, selfish, tired, disappointed, cliqueish, arrogant, etc. You're not going to end up with perfectly charming PR representatives on door duty or in the pews! We also have a problem, ISTM, in that we're not entirely sure what the church community is for. Is it for insiders, i.e. people who (try to) understand and accept a group theology, language, rituals and expectations, or should everyone else be completely at home there as well? I think these are mutually exclusive desires to a considerable extent. And the churches themselves send out mixed messages. One advantage of some strict religious communities (and also of Islam, ISTM) is that they don't use the time of worship as a recruitment opportunity. Recruitment is done elsewhere, so when new people come through the doors they're already serious about wanting to belong. A few grumpy old ladies won't put them off. My own experience is that this is frequently the case when there is a sign indicating that the parish is welcoming and inclusive. We've recently introduced A New Piece Of Ritual (!) at Our Place, whereby servers and clergy, instead of sloping off sideways into the vestry during the organ postlude, make their way to the back of the church (near the main door! ), and say the vestry prayer sotto voce there. This means that very few people leave without at least a brief word from priest or deacon. In fact, we find that a fair amount of meeting, greeting, socialising, pastoral chat etc. now takes place within the church, without the aid of coffee in the adjacent hall. Sorry to double-post, but I should add that the excellent acoustics in the church make for much easier conversation than the dire acoustics in the hall! Alas, at the moment, having coffee etc. in the church is not possible (no facilities - yet!). You know of some of my former IRL situation and you know that I can quite understand where you're coming from. My own response has been to avoid the main services at churches principally occupied by my own tribe, hieing to evensong, criminally early low masses, and services in languages I barely comprehend. It really works out well for me and I find that whatever welcome happens is genuine. There are some very worthwhile ideas and valuable experiences shared here, and I'm grateful for them. Whatever the criticisms of some of his ideas might be, I think that Richard Giles has some very good points to make about welcoming people in Repitching the Tent. I tried to implement some of those principles in my last parish but came up against a combination of intransigence and indifference. I think much of whether or not a church is welcoming has to do with the attitude people have to welcome, and their understanding of its importance. It doesn't matter how nice the regulars, or the worship, or the teaching are on the inside if potential newcomers never get as far as crossing the threshold. It starts with reputation and visibility. Have a website and make sure that it is accessible and informative, and not too ambitious for your resources. It's obvious when a church has bitten off more than it can chew in terms of maintaining an over-ambitious web presence that it doesn't have the bodies to maintain. This applies to social media as well. I think people think 'What a good idea!' and then only later appreciate the commitment it takes to sustain it. Either that, or they do very well due to the efforts of one person who then moves on, and the whole thing dries up. I'm one of them. twenty years ago, perhaps it might just have been excusable; today, not so much. Have an email address that directs correspondence to someone who will actually reply. Within five minutes is impressive but not necessary; a month later is unacceptable. Show an interest while trying to avoid intrusive questions. This is a balance that's sometimes difficult to get right. I try to say something about the community or myself, which invites the newbie to share if they wish, but I don't expect or nudge them to share if they don't volunteer the information. (This is good general advice in life anyway.) People go to a new church for the first time for any of a number of reasons, and that often includes a difficult or painful departure from a previous church, which is a personal experience that they might not wish to tell a stranger about on first meeting, and asking them could put them in an awkward position. Similarly, people could be there because they're grieving, and if it turns out they're willing to answer your question of why they're there, you need to be prepared to deal with the breadth of potential answers that your question might generate. There are some questions that are best avoided unless you know the answers are going to be safe. This strikes me as a very good point. Becoming a member of a congregation does not immediately translate into becoming a perfect ambassador for the church. A truly welcoming church might be full of people with all kinds of ugly, smelly, unglamorous problems, which could then make it seem off-putting and scary to the people who came after. Scrumpmeister's list should be nailed to the foreheads of clergy and parish councils. The occasional victim of insomnia, I look at Anglicans Online's list of new parish postings and find that I am often at the 2d or 3d or even the 4th page click to find out when services are to be held. This Ash Wednesday I went to services at the local UCC church, which is the only church in our temporary address where I would feel comfortable attending. This is a tiny, overwhelmingly elderly congregation hanging on in an historic downtown building. I received a friendly reception...but one lady, who was official greeter and also seemed to be the general lay leader, would not leave me alone after the service. She hugged me, thanked me for coming, clung to my shoulder and launched into a list of reasons why I should start coming to this church on a weekly basis. I didn't want to get her hopes up, so I gently explained that I was from a different tradition.that I was only in town until we could find a house elsewhere, but I appreciated the welcome. She looked crestfallen, which made me feel terrible. And, truth be told, the memory of her desperately latching on to me has made me not want to return even though so enjoyed the pastor and the service. But I don't know how a church can manage the behavior of well- meaning people like that without alienating them...especially difficult in a small congregation that can't afford to lose one of the " doers." It's probably just me, but I find many Church of England parish service times confusing when there isn't a list of set weekly times but instead a little table of "what's on" for the next few weeks only (or a few weeks in 2013), with the times and types of services seeming to wander randomly from one to the next. I flee for refuge to an Anglo-Catholic site with solid Mass and Office schedule. This Ash Wednesday I went to services at the local UCC church, which is the only church in our temporary address where I would feel comfortable attending. This is a tiny, overwhelmingly elderly congregation hanging on in an historic downtown building. I received a friendly reception...but one lady, who was official greeter and also seemed to be the general lay leader, would not leave me alone after the service. She hugged me, thanked me for coming, clung to my shoulder and launched into a list of reasons why I should start coming to this church on a weekly basis. Is this linked to your Purg post about hating people LutheranChik? I know folks have expressed a dislike for questioning by greeters, but sometimes it helps the greeter to ask a few questions. Example: I once attended a Quaker Meeting which is the home of a well-known American Quaker celebrity. I imagine they get a lot of visitors who aren't Friends but who have heard of this person. As I walked in, the greeter began to explain "how Friends do things" even as I tried to tell her that I was a member of another Meeting in the same city. She was so earnest and talked so fast, that I had to interrupt her (gently but firmly) in order to go in and take a seat. I was there because it was on my way from point A to point B on a Sunday morning. I am not especially interested in the Quaker celebrity, and found it slightly awkward that an assumption was made about me at the door. I suspect that this greeter had encountered enough people who weren't Friends that she had fallen into a habit of assuming all visitors needed some instruction. It seems a bit funny now, but it felt odd at the time. Sabine, that sounds unusual to me. Though I’m not a seasoned visitor to Friends’ Meeting Houses, any time I have gone along, I’ve always been asked if it’s my first time; to the extent that I’ve taken to having my slightly battered copy of Advices & Queries in hand as I arrive. It's probably just me, but I find many Church of England parish service times confusing when there isn't a list of set weekly times but instead a little table of "what's on" for the next few weeks only (or a few weeks in 2013), with the times and types of services seeming to wander randomly from one to the next. Which is why (a) church noticeboards (b) parish magazines and (c) church websites ought to be CLEAR and UP-TO-DATE. If you have to cancel or change a service, put a notice on the door saying so (and, if possible, telling people where to go) - even better, put a person there to explain. And don't think, "We never get any visitors, so a phone-around with the faithful will do" - a church is not, repeat not, a private club. PS Methodist "Plans" can be as complex and befuddling as Anglican timetables, especially in rural areas: this one, for instance. On more than one occasion, when going for a mystery worship visit, I've researched online, gotten a train or bus across the city, turned up at the front door my usual 8 minutes before the service starts and then found it locked with a sheet stuck on the front door saying either the church wasn't having a meeting that week or they were doing a joint service with someone else a mile away. I confess I may have uttered some unpleasant obscenities in the direction of those churches at such times. Karl: LOL, no. I can handle needy old ladies. In fact, I am turning into one. Well, as I said, it may have had something to do with the large number of visitors this meeting has, as well as an assumption made by the greeter. A question ("Is this your first visit to a a Quaker Meeting?") would have avoided an awkward time. I recently heard something which may not be generally true, but I thought was interesting. According to what I read, Muslims do not commmunicate much with each other inside the worship space (I'm not sure how they're defining this - whether they mean the room or the building), so any meeting and greeting and chatting happens outside. The thing I was reading was saying that someone came to give a talk in a Mosque and got a very low key response, but as soon as he was outside was warmly welcomed by worshippers. Again, I don't know if this is really a thing, a general rule or my misunderstanding. But I think it is interesting how Christians have expectations as to the appropriate greeting for other people in church - and don't seem to recognise that people are different and have different feelings towards the kind of greeting people are offering them. Personally I think I'd quite like being alone with my thoughts inside the worship space - but possibly that's just me. IME MOTR CofE church folk are more likely to leave you more or less alone when you turn up. RCs aren't that interested. Methodists want to know who you are straight away. Pentecostals are curious about visitors. Charismatics are too busy chatting to their friends.... Sweeping generalisations, of course, and others will have different experiences (especially in other countries). All kinds of churches can suffer from cliqueishness, but perhaps it's more common in churches that have become inward-looking. Some declining churches have lost all hope that their few visitors will stay, so have given up trying to entice them. OTOH, there's sometimes a fear that newcomers will turn up and change things. Svitlana, you wanted examples of golf club mentality. Everything you have just said is a prime example. Churches cannot and do not live or die by numbers. It is very easy for congregations to gather and scatter in great number very quickly (by church standards at least) if the people at the centre of it have no idea what to do with the enthusiasm generated, and critically how church and faith relate to people's lives. It is not enough for people to go to church rather than to the shops on a Sunday morning, or indeed the pub; there needs to be consciousness of how faith infuses itself into their lives outside of church, and how being at church nourishes them in living those lives. Churches that try to fill people's lives with churchiness either become a cult, fail or both. Churches that support people in their lives may not grow like mushrooms but neither do they rot like them. ETA: to make this directly relevant to the topic under discussion, it really doesn't matter two hoots how nice people on the door are if the regular congregation has no concrete idea of how going to church fits into the lives they live and the people they are. Churches that just function as ego boosts to their congregants drive people who are not rampant egotists away in droves. No-one ever hears fromn the repelled, especially those so repelled by Con Evos that they stay away from all churches altogther. For anyone who is not C of E and in some kind of leadership position - an explanation of our welcoming (from my seriously jaundiced point of view. We are constantly being 'encouraged' about giving enough to keep things going. Which is supposed to translate into growing our congregations and by default by welcoming people in. How this works in practice varies from the sublime to the ridiculous but tends to succeed or fail based on the leadership of the Parish Church. Example 1 - Parish Priest can't be arsed because 'no one will come whatever we do', which results in apathy from some or massively misplaced efforts from those who want to prove him wrong. Example 2 - Parish Priest who is so heartily disliked due to their rudeness that occasional services to grow the parish are only done when the priest is on leave and preferably known to be out of the diocese. Example 3 - Church warden who won't allow any change from the BCP, congregation 3, despite 40+ people doing Anglican Worship in the village hall to get round the lack of license from the Bishop. Example 4 - No-one has seen the vicar for months, and no word of their whereabouts from the Arch Deacon, Diocese or anyone. This is presumably not a case of alien abduction, but there hasn't been as service because no-one knows what is going on. Example 5 - House for Duty priest who know's what he's doing and is spending his semi-retired years invigorating, encouraging and making damn sure his congregation is involved and knows where they are going. This one is sniped about by the paid clergy mentioned previously who I can only assume bribed their way through the clergy selection process. The last example thinks the best way of welcoming is making sure we live a life of Christian witness and offering as many ways of worship and spiritual nourishment as can be held to make sure that no-one is excluded and there is a space and a place for anyone who wants it. Coffee and biscuits optional. I've never heard of this in real life, and can't imagine it happening. Perhaps he is collecting butterflies in Italy? When my husband and I invite people to dinner, we greet them at the door. I suppose if we lived in a Downton Abbey world the servants would be at the door, but we’d be in the hall or at the head of the stairs to issue the welcome, and again to bid our guests godspeed as they leave. It has nothing to do with numbers and everything to do with valuing our guests. Following that pattern my priest colleague and I stand fully vested in the narthex, or on the steps in fine weather, to welcome the congregation. We’re in place no later than 15 minutes prior to service time. All that coordination with readers, organist, etc., must be done by then. The priority must be on God’s people gathered, not for numbers but for honoring them. We greet the regulars, do quick check-ins on pastoral concerns (“How’s Harvey doing, dear?”) can easily spot the visitors to welcome them, point out the restroom, try to connect them with a regular if possible. As the service ends we process out to the final hymn (usually remove vestments during the postlude) and again stand in the narthex to point the way to coffee, thank people for being with us, etc. Yes, we can do so since our parish is small and newcomers stand out. But I have seen the same pattern at our cathedral, and at the cathedral in a neighboring large metro area, where the welcome team is important, but the clergy are still actively present and engaging of “the stranger and the strange.” Parishioner welcome crews are wonderful, but I am of the opinion that if ‘father and mother’ are not zealous in that regard, the standard has not been set. I recall parish shopping after a major relocation. One parish met our needs in terms of liturgy and “feel”…..but no one said hello when we arrived. At coffee the only one speaking to us was a man, clearly a minority in the congregation, who kept telling us “Father Paul will be so happy to meet you”….. except Father Paul never made it to coffee……..never said “welcome” or even “hello” for the three weeks we were there. We found another place. Yes, colleague and I are retirees, paid for a princely seven hours each per week (…right……..) zealous and whacky, totally different in so many ways, and eager to make the gathered community feel valued, loved by God and neighbor, and a blessing to us all. Yes, it's important that the minister(s) should be seen to welcome people, and not just leave it to the sidespersons or greeters. At Our Place, most people arrive a minute or so before the service, or during the first hymn, or at any time up to the Gospel or sermon! So, there's no point standing outside waiting for them, but we do now ensure that the clergy process to the back of the church during the postlude, so that 'meeting and greeting' can take place there. Again, that needs to be done with some grace. "Capturing" someone in conversation who clearly doesn't want to give their life-story to you just because you happen to be the vicar can be incredibly annoying. It's obviously very difficult - but somehow the welcomers (including clergy) need to be available and welcoming and willing to talk without at the same time inappropriately trying to crowbar a conversation out of someone who wants to slip away. What I find difficult is that, once I'm at the back of the church, I get engaged in conversation by someone and find it hard to make contact with others. However I do sometimes break off a conversation to say "hallo" to a visitor, possibly returning to it afterwards. Yes, it is as mr cheesy and Baptist Trainfan say - difficult indeed, especially for the minister. We don't leave it just to one person, though. We have the priest, at least one Reader (possibly the two of us), Brother R. the Sidesman, and Sister D. the Sacristan, all on hand as required. This sounds like it is crying out to be versified in the style of the great Fr Forrest. In reply to Pidwidgeon, situation number 4 arose when the vicar walked out due to health issues. He did inform the diocese but for whatever reason no-one there thought to talk to the parish! The assumption was that the diocese knew nothing either due to the silence. Odd I know, but that's the Church of England for you. To be fair a number of retired clergy where rounded up to fill in once the communication overlook was discovered, but this isn't the most satisfactory arrangement for evangelism. I would have set it to music if I could play anything other than a triangle. The style of Noel Coward came to mind. I was wondering if the solution was about the health of the clergy - I know of a similar situation here in Wales where the priest is long-term sick and the church is continuing with help from retired and NSM. But it does seem extraordinary that there was no communication about the situation - I wonder if the diocese thought that they'd be breaking confidences (or data protection even) if they passed on to the parish what had happened. In reply to Pidwidgeon, situation number 4 arose when the vicar walked out due to health issues. Uh huh. And Dr. Stanhope claimed he was in Italy recovering from a sore throat. Cheesy, I gather the diocese thought the parish knew and since the congregation weren't camped outside the bishops palace demanding a replacement that they had got something in place. The hiatus was due to the abandonment happening over the summer when everyone and their dog were on holiday. 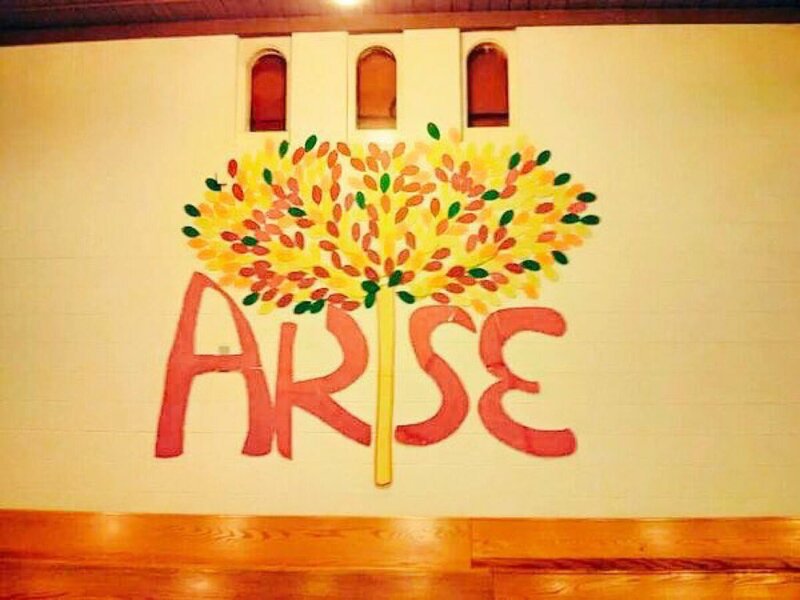 The main fallout for evangelism being that the rest of the un-churched parish were of the opinion that the established church couldn't organise a piss up in a brewery and it made the whole place look a bit dodgy. Sorry to double post but - although situation 4 is problematic, due to lack of continuity and obvious leadership, 1 and 2 are seriously worrying. Churches cannot and do not live or die by numbers. It is very easy for congregations to gather and scatter in great number very quickly (by church standards at least) if the people at the centre of it have no idea what to do with the enthusiasm generated, and critically how church and faith relate to people's lives. Well, I agree with your second sentence. As for your first, it may be true for the CofE, as I said. The institution doesn't rely on numbers in the pews or congregational giving to sustain itself. Almost all of the smaller denominations do, however, since they lack the resources of the CofE. Maybe that makes many smaller denominations (and not just the con evo ones) 'golf-clubby', but it's just a reality. Well, they have to work with that. It doesn't negate the importance of a great welcome for visitors or the need to ensure that the preaching and teaching, etc., are relevant to worshippers' everyday lives. Church wardens can be voted out. Although a candidate for the post should be, I think, on the electoral roll of the parish, the electorate for the Annual Vestry Meeting is those on the the electoral roll, plus anyone living within the parish who is entitled to vote in local elections. Also, there are limits on the number of years one can serve as Warden without a break. The diocesan bishop has the responsibility for ensuring divine service in the parish. The parish should write to the bishop. If no satisfactory answer is received, write to the diocesan chancellor (the law officer) and/or the diocesan visitor. This is a good point, I was trying to compute why it didn't sound right. On the other hand, there are churches who are run by non-stip Readers, where I guess this situation could develop with the support of a church warden. I'm not sure what happens in an interregnum if the warden is doing something which the diocese generally doesn't approve of - on the level of only running BCP services. I guess it is possible that the diocese is taking a hands-off role (or possibly a light touch role) and are just giving nods towards retired clergy to fill spaces in the calendar. I suppose it is also possible that the diocese is communicating with someone in the parish (the wardens?) but that isn't filtering down to the pews. In this sort of bizarre situation (which must surely be uncommon), the Area Dean (or Rural Dean) should be working with the Churchwardens, PCC, and any handy Lay Ministers, to carry on the services etc. BTW, it used to be the case that, if priest and PCC could not agree as to the form of service to be used, the 1662 BCP was the default position...which might well result in a breakaway group in the village hall!